Bhopal, Dec 2: The tragedy that struck this city 33 years ago following methyl isocyanate leak from an industrial unit has not allowed some women to be mothers again and many homes have not been able to hear the playful voice of children. City's third generation, born after the tragedy that struck in 1984, is also suffering from ailments. Rashida Bi, who is involved in improving lives of the families of victims, says a women of her family had miscarriages four times. "The impact of the gas that leaked from the Union Carbide plant is still there. There are many women who could not become mothers. This has been proved by research also. The biggest pain of a woman is not being able to become a mother," Bi said. 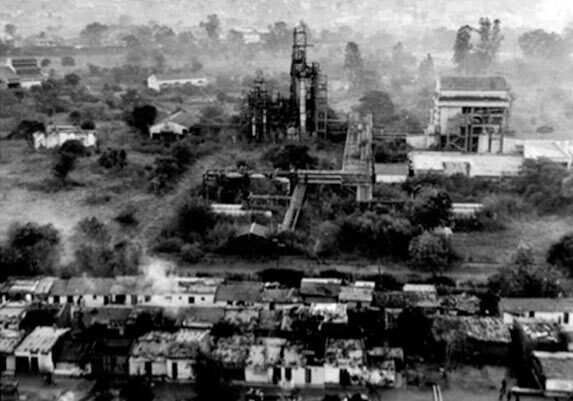 The Bhopal gas tragedy, considered the world's worst industrial disaster, occurred on the intervening night of December 2-3, 1984, at the Union Carbide India Ltd (UCIL) plant here, with over 500,000 people exposed to methyl isocyanate (MIC) gas and other toxic chemicals. The immediate death toll was 2,259 but later the government put the toll at 3,787, while the health of thousands of others was affected. Three children of Radha Bai, a resident of Ashoka Garden, died in the gas leakage and she has not been able to become a mother ever since. And there are other diseases also that Radha Bai suffers from. She cannot see clearly, feels disturbed in sleep due to stomach sickness and also has problem in walking. The situation is same for Razia, a resident of Chola area, who has not been able to become a mother. She was married before the tragedy. Abdul Jabbar, convener of the Bhopal Gas Peedit Mahila Udyog Sangathan, said: "The gas severely impacted people. Apart from those killed and those who are struggling between life and death, there are those who could not have bliss of having a children." Rachna Dhingra, a member of the Bhopal Group for Information and Action, said the gas impacted the potency of both men and women. The worst affected are those whose children were born with diseases and deformities. There are children who cannot sit or speak or hear. They are condemned to live in their current state unil the end of their life.